If you would like an immediate response please call us at: 951-225-3324. Enjoy convenient access to all the most essential dental services at West Coast Dental of Menifee. Over the course of the years, local families have come to rely on our state-of-the-art facility, whether they require routine or emergency services. Thanks to our team of highly experienced general dentists in Menifee, CA, it’s easy to maintain a terrific smile. Reach out today to schedule an appointment and learn what we can do for your teeth. At West Coast Dental of Menifee, it’s all about the patient. When you visit our office, we'll do everything we can to keep your experience calm and comfortable every step of the way. We even have toys and games to help keep your kids entertained. There's a reason we've built a solid online reputation with positive ratings from sites such as Yelp. If you're too busy during the work week to visit our office, we’re more than happy to set you up with a weekend appointment - just ask about availability. No matter the type of dental treatment you require, you can rest easy knowing you’ll be treated with care by clinicians you can trust. Our compliance department ensures that all our dentists and specialists maintain high internal standards. If you need to speak with a professional about your dental needs in private, we have separate areas of our office to protect your privacy. We're a dental office that works hard to consistently impress patients. That's why we accept virtually all dental insurance policies. When a dental emergency happens, you don’t have time to wait until regular business hours for treatment - especially when you or a loved one is in pain. But when you become a patient at West Coast Dental of Menifee, you’ll always enjoy access to emergency dental services. Let us know when you or a member of your family is coping with a dental problem and we’ll take steps to get you into our office ASAP. As veteran dentists, we believe that everyone deserves a beautiful, healthy smile. However, we also know that many people struggle to afford the essential services they need to feel good about their teeth. That’s why we’ve partnered with CareCredit and Dental Alliance Financing to offer flexible financing options for the treatments you need. Competitive plans are available and may be the best choice for patients without insurance, so get in touch with our partners today for more information. Be sure to check our current special offers, which can help you save even more on the services you need. Right now, we’re offering discounts on braces, as well as a free sonic toothbrush when you refer a relative or friend. Talk to a staff member about the details to learn whether you’re eligible for these bonuses. Along with financing options and special offers, our dental office offers convenient weekend hours for patients that don’t have the time or means to visit us during the normal business week. Because we focus on serving families, we’re well-acquainted with the hectic routine that most parents and kids follow - it’s one of the reasons we took steps to ensure our office would be able to accommodate your needs back when we first opened. West Coast Dental of Menifee is committed to building lasting relationships with individuals and families throughout Menifee and the surrounding communities. We're proud to offer competitively-priced family dental care without sacrificing quality, and we love helping patients of all ages. Our easy-to-find office is located at the intersection of Haun Road and Newport Road. To schedule a consultation with a doctor, give our office a call today. If you're looking for excellent service and a people-friendly approach, then you've come to the right place. At West Coast Dental of Menifee, our ultimate goal is to serve you and make your experience a pleasant one, and our team will stop at nothing to ensure that you come away more than satisfied. West Coast Dental of Menifee does accept the majority of the insurance providers in the area that the clinic is located. At West Coast Dental of Menifee, we take pride in selecting a great staff to serve you and your family’s dental needs. See below for what makes our team so great then call 951-225-3324 to schedule an appointment today. A passion for dental care runs in Dr. Lewin's family, since he was a child seeing his mother who is also a dentist work, a love for dentistry was born and grew over time. Dr. Lewin knew he wanted to be a dentist as young age. Given his background, it's not surprising that he's such a natural when it comes to making patients smile. Originally from Venezuela, Dr. Lewin worked in a community health center and loved it! He studied biology at Florida International University before receiving his doctor of dental surgery from the University of La Salle Bajio in Mexico. A fan of soccer had the opportunity to play professional soccer in Brazil. His dream is to become a recognized dentist and be able to teach at a very reputable school. "Attract what you expect, reflect what you desire, become what you respect, mirror what you admire." Dr. Michael Li became an Orthodontist to help provide healthy and beautiful smiles. As a kid, Dr. Li had braces and the results inspired him to help others in the same way. He completed his undergraduate career at the University of Chicago, with a degree in Biology. Soon after he attended Boston University for Graduate School and earned a degree in Bioinformatics. 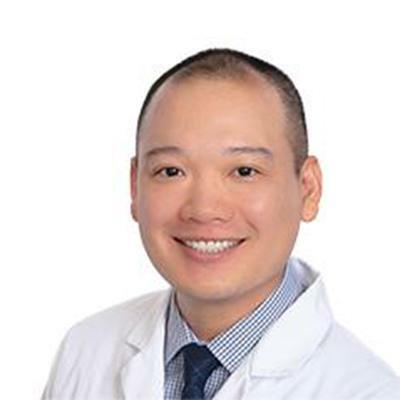 He went on to earn his Doctor of Dental Surgery at Columbia University and received his Specialty Certification in Orthodontics, MS in Oral Sciences at the University of Illinois. Specific area of interest is in Psychosocial Effects Post-Orthodontic Treatment. 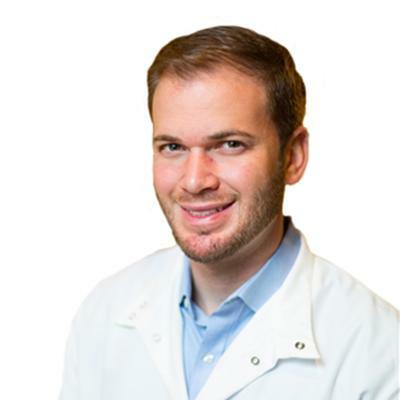 Dr. Joseph Danesh graduated from Loma Linda University School of Dentistry in 2006. It was at Loma Linda that he became enchanted with the challenge and learning opportunities in oral and maxillofacial surgery. This passion led him to Temple University Hospital (Philadelphia, PA) where he completed his residency program. 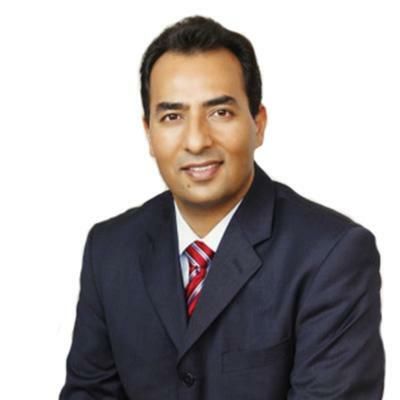 There, Dr. Danesh sharpened his skills in the broad scope of oral surgery including dental implant treatment, anesthesia, dentoalveolar surgery, pathology, maxillofacial injuries, jaw corrective surgery as well as TMJ and myofacial pain management. After completing his residency training, Dr. Danesh�s dream of living and serving the patients of the Inland Empire. He wants you to share in the most positive treatment experience imaginable. Using sedation and anesthesia, he is able to provide a variety of procedures � tooth removal, dental implants, biopsies, treatment of infections, etc. � in the most comfortable ways imaginable. Dr. Danesh is also a member of several professional dental organizations that provide opportunities to learn about the newest treatment techniques. While Dr. Danesh�s professional life has grown, his personal life has also blossomed. While studying at Loma Linda University, he met and married the love of his life, Heather. They have three children: two boys and one girl! The boys keep Dr. Danesh very busy with karate, swimming and soccer��while his daughter is always ready to show off her latest gymnastics accomplishment! Our office at West Coast Dental of Menifee is a state-of-the-art facility designed to provide you and your family with the best dental care. Please see the below video to take a virtual tour of our office then call us at 951-225-3324 to schedule an appointment today.